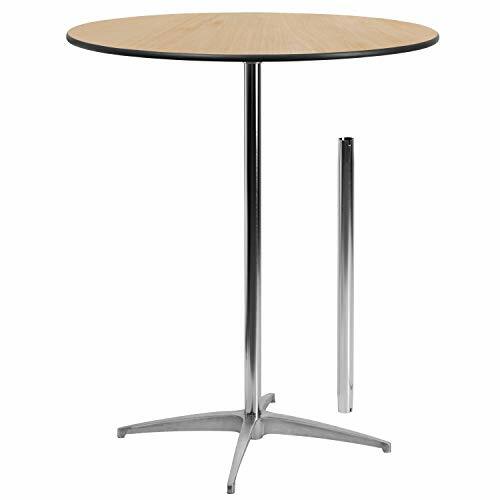 This versatile commercial grade Cocktail Table features a standard table height column and bar height column. The two column options allow you to optimize your resources when setting up different events. 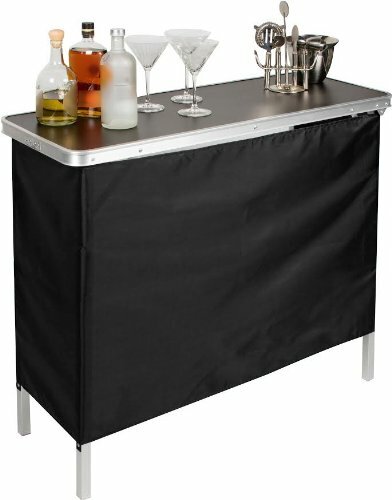 Enhance the look of the bar table configuration by adding a table cover and a loosely tied coordinating material. Table breaks down for easy transporting and organized storing. 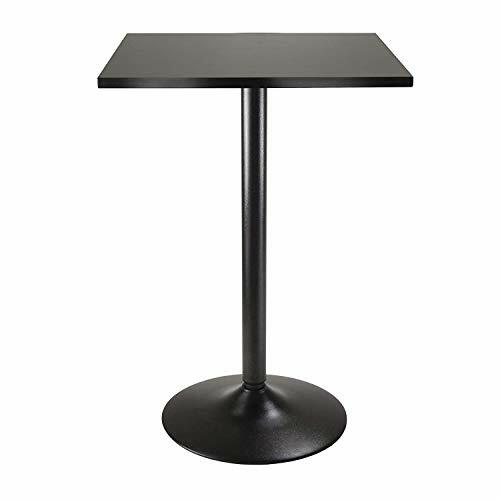 Cocktail tables can be used in banquet halls, conference centers, hotels, bars, clubs, training rooms, break rooms or any other social event. [XA-24-COTA-GG]. The Boraam Florence Pedestal Sunburst Pub Table-White, is one of those classic designs that looks great in any number of decor themes. You can match it perfectly to your existing furniture. The pedestal is crafted of solid hardwood and the top is wood veneer with an attractive sunburst pattern. Finished in beautiful solid white. This pub table features a single, sturdy middle column with flared legs and assembles in minutes. Please note: This item is not intended for commercial use. Warranty applies to residential use only. Pedestal is crafted of solid hardwood. Sunburst pattern wood veneer table top. Appealing solid white finish. Single middle column with curved legs. Assembles in minutes. Measures 42H x 30 diam. inches. Not intended for commercial use. Cora Square Counter Height Table features stylish Faux Marble Top in Brown tones. This table is chic and durable. The marble laminate top adds to the timeless look to the table and black metal accent based gives it a sophisticated look. Overall table dimension is 23.62"W x 23.62"D x 35.43"H. Table top MDF Top with lamination. Black finish metal leg and base. Easy Assembly. 35 tall and surface 15x39. supports 65lbs. Cool, contemporary, and handy as can be, the Flash Furniture Jasper Adjustable Pub Table is a must-have for your modern space, from breakfast nooks to kitchens to compact dining spaces. The slender silhouette sets a chic scene, whether you pair it with stools or use as a standalone surface. The round top is crafted of 0.25-inch-thick clear glass, while below, the metal base shines bright with its chrome finish. Use the pneumatic lever below the tabletop to adjust the surface from counter to bar height - yep, it's really that versatile. Flash Furniture prides itself on fine furniture delivered fast. The company offers a wide variety of office furniture, whether for home or commercial use. Leather reception seating, executive desks, ergonomic chairs, and conference room furniture are all available to ship within twenty-four hours. High quality at high speeds! Dimensions: 23.5 diam. x 41H in.. 0.25-in. thick clear glass top. Metal base in chrome finish. Height adjusts from counter to bar height. Pneumatic adjustment lever. Part of the Jasper Collection. Dimensions: 23.5 diam. x 41H in. 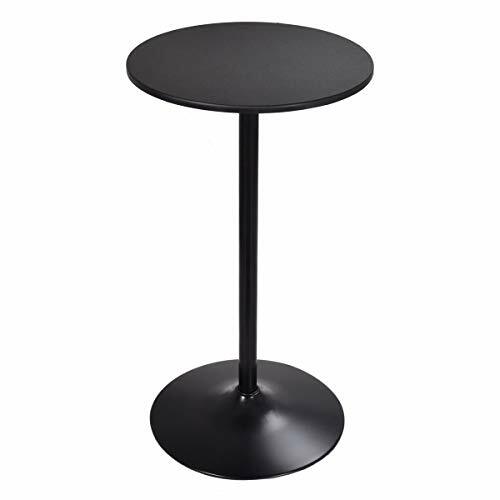 Sleek and stylish all black Counter Height Table. Square Table Top is veneer in black on composite wood with metal black coating for base. 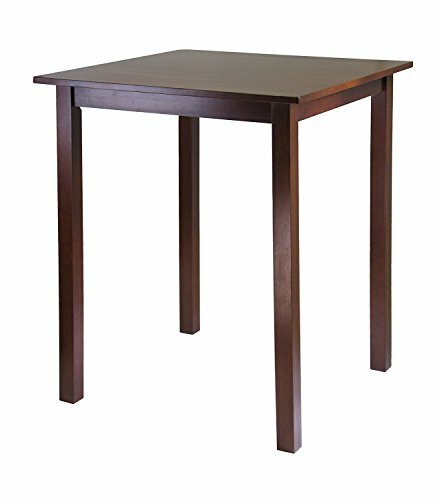 Table size 23.7-Inch Square by 35-Inch high. Easy Assembly. Small but mighty, the Flash Furniture Mason Dining Table brings commercial-grade toughness to any space that can use a compact, two-person dining table. Built so sturdy it can even be used in commercial spaces, this dining table features a protective powder coat, cross brace for extra stability, and rugged metal construction. In fact, you can even place this dining table outside on your patio. And you'll love the retro-modern style, which features clean lines, an engraved design on the two-inch-thick top, and best of all, a full range of finish options. Legs feature protective rubber feet to prevent floor scratches, and for best results, avoid prolonged exposure to wet weather. Flash Furniture prides itself on fine furniture delivered fast. The company offers a wide variety of office furniture, whether for home or commercial use. Leather reception seating, executive desks, ergonomic chairs, and conference room furniture are all available to ship within twenty-four hours. High quality at high speeds! 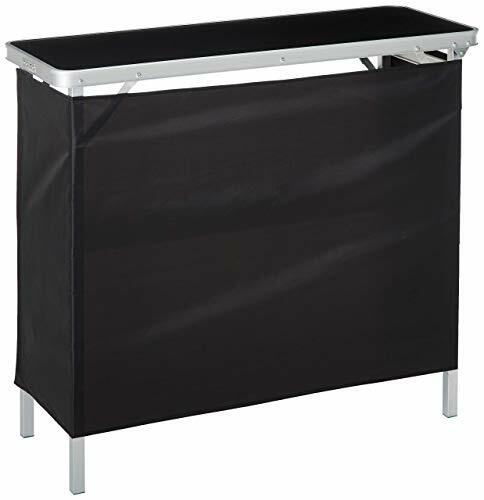 Dimensions: 27.75L x 27.75W x 29H in.. Commercial-grade metal construction. Variety of finishes available. 2-in. thick top with engraved print. Suitable for indoor or outdoor use. Protective rubber feet. Part of the Mason Collection. Dimensions: 27.75L x 27.75W x 29H in. 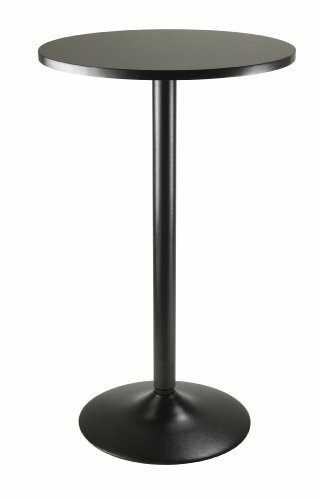 Our new black metal bar table with a round glass top is ideal for entertaining in a casual dining area or bar. Fashion Design: The contemporary chic design can match all style furniture which is ideal for commercial or home use both indoors and outdoor. Not heavy and easy to move. Easy Assembly: Easily assemble according to the instruction. If you have any problem, please come to contact us soon. Space Saving: Tall and thin design is good for space saving. You could put the bar height table in your kitchen, bedroom or any place is limited on space. 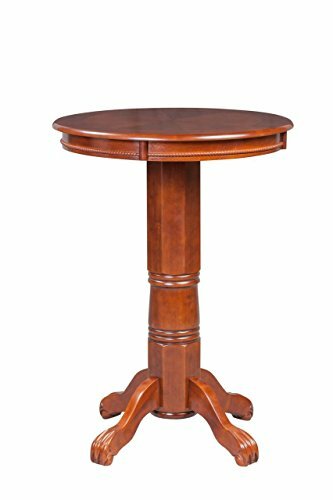 Multi-function Use: Create a cozy conversation spot in your home or office with this Round Pub Height Table. Sleek and stylish all black is great for social gatherings and light dining. 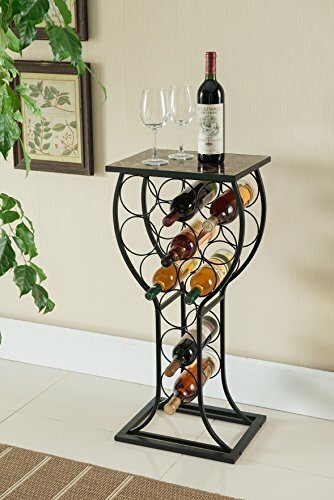 It can also be used as a tall accent serving table. 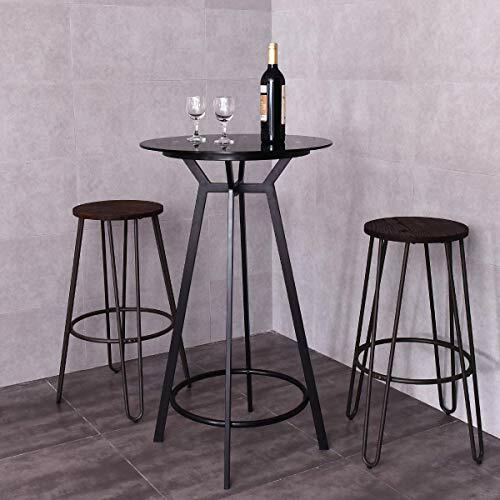 Modern Style This bar table combines classic and modern style, so it is perfect for your restaurant, bistro, coffee house, patio, home kitchen or any other decor theme. 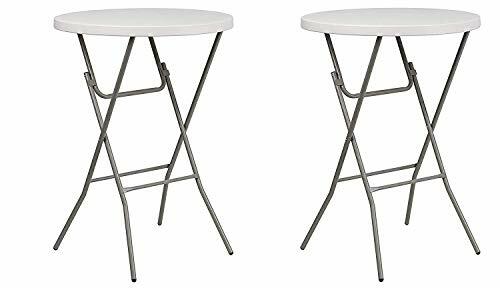 sturdy & Durable Bar Table This heavy duty bar table is constructed MDF table top and steel stand, solid structure can hold up to 66 lbs. 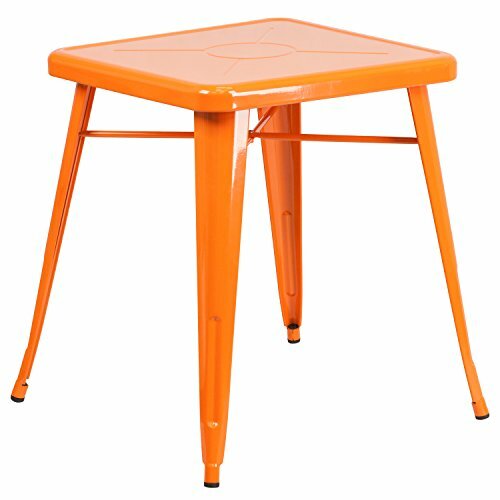 Ergonomic Bar Stool Design Our bar table with ergonomic design of perfect height supports an easy conversation and Big circle bar table on the top provides space and convenience. 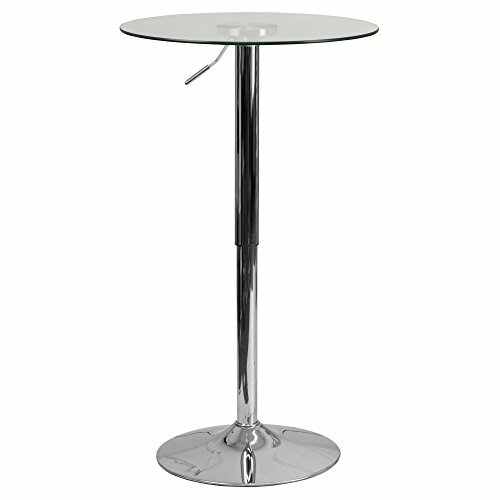 Easy Handling This high quality bar table is made of MDF and chrome steel, and it is easy to clean with damp cloth. 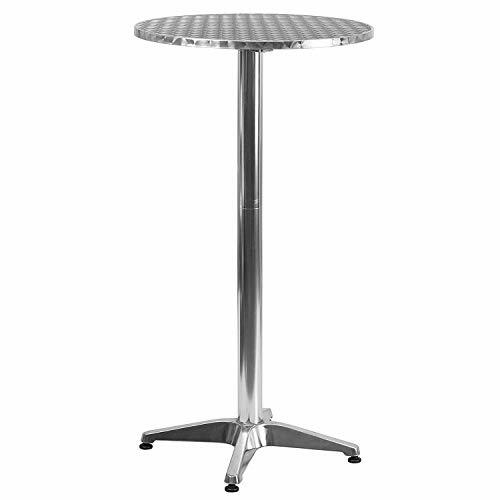 Non-Marking Our bar table has plastic foot to protect the floor and metal base provides stability. 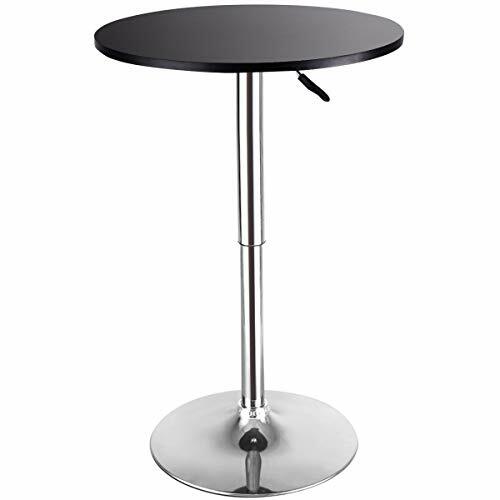 You don't have to worry about the floor being scratched by our COSTWAY bar table.